We offer sinus and allergy treatment options for all ages. Personalized immunotherapy treatment plans for adults and children. Over 60 million people suffer from allergies everyday. You don't have to! Now is the time to take back your life and find RELIEF from allergies. Allergy drops are a safe, effective alternative to shots for patients of all ages. For today's allergy report, enter your zip code below. Learn why allergy drops are growing in popularity, and why so many people trust Texan Allergy & Sinus Center with their treatment. Are You Suffering from Severe Sinus Pain or Nasal Obstruction? This amazing, minimally-invasive treatment for chronic sinus sufferers is not traditional sinus surgery. The procedure permanently cures the root cause of painful, recurrent sinus infection symptoms. Sinus sufferers experience incredible, long-lasting relief. 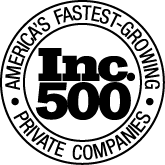 In 2017, Texan Allergy & Sinus Center was named one of Inc. Magazine's 500 fastest growing private companies and as one of the Austin Business Journal's 50 fastest growing companies in Central Texas.